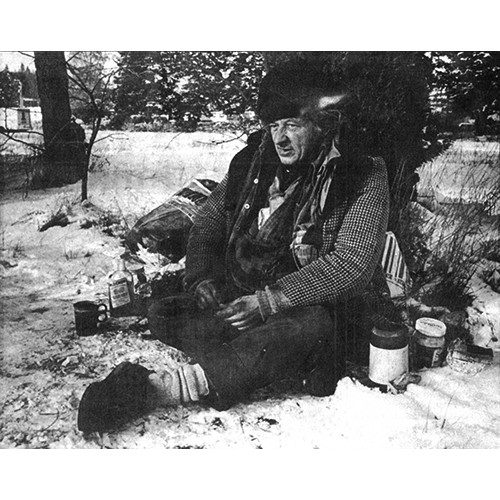 Alvin Erho, dubbed the King of NE 181st Street because he spent most of his time under the giant fir tree on NE 181st Street east of 68th Avenue NE, braces against a 1985 winter snow. His death came two years later after being hit by a car. Photo from the Northshore Citizen.